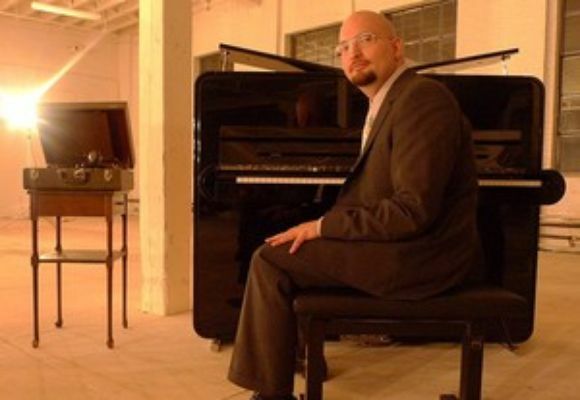 Ethan Iverson (born February 11, 1973 in Menomonie, Wisconsin) is a pianist and composer best known for his work in the post-modern piano trio, The Bad Plus, with bassist Reid Anderson and drummer Dave King. Prior to the forming of TBP, he was the musical director for the Mark Morris Dance Group and a student of both Fred Hersch and Sophia Rosoff. He has worked with artists such as Dave Douglas, Bill McHenry, Dewey Redman, Mikhail Baryshnikov, Billy Hart, Kurt Rosenwinkel, Mark Turner, Yo-Yo Ma, Mark Padmore, and Charlie Haden.